Wilkommenn, Bienvenue, Welcome! Leave your troubles outside! 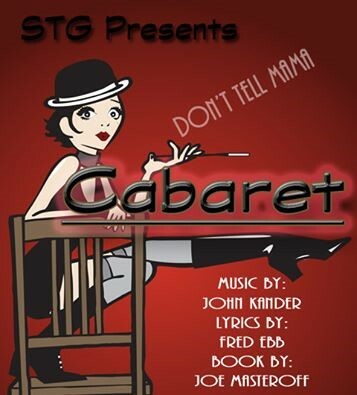 Cabaret is the enthralling story of Clifford Bradshaw, who is just trying to get on his feet as a writer in 1930's Berlin without causing too much trouble, and Sally Bowles, a British singer who is just trying to live life to the fullest as the Nazis rise to power. So, come through the doors of The Kit Kat Klub, and let the Master of Ceremonies entice you! And remember...Don't Tell Mama!